Sunroof, Heated Seats, Smart Device Integration, Brake Actuated Limited Slip Differential, Keyless Start, Turbo. DEEP BLACK PEARL EFFECT exterior and BLACK LEATHERETTE interior, SE trim. FUEL EFFICIENT 37 MPG Hwy/29 MPG City! CLICK ME! KEY FEATURES INCLUDE Sunroof, Heated Driver Seat, Back-Up Camera, Turbocharged, Satellite Radio, iPod/MP3 Input, CD Player, Onboard Communications System, Keyless Start, Smart Device Integration, Brake Actuated Limited Slip Differential, Heated Seats. MP3 Player, Keyless Entry, Child Safety Locks, Steering Wheel Controls, Electronic Stability Control. OPTION PACKAGES DRIVER ASSISTANCE PACKAGE Active Blind Spot Monitor w/Rear Traffic Alert, Lane Keeping System (Lane Assist), Wheels: 17 Alloy, Adaptive Cruise Control (ACC), High Beam Control (Light Assist) For headlights, Tires: 17 All-Season, Auto-Dimming Interior Rearview Mirror. Volkswagen SE with DEEP BLACK PEARL EFFECT exterior and BLACK LEATHERETTE interior features a 4 Cylinder Engine with 147 HP at 5000 RPM*. EXPERTS CONCLUDE Great Gas Mileage: 37 MPG Hwy. 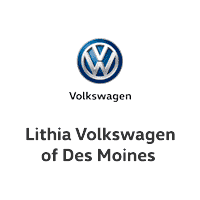 OUR OFFERINGS Lithia is one of America's largest automotive retailers. We are focused on providing customers with an honest and simpler buying and service experience. We are giving customers straightforward information so that they can make confident decisions. We believe that our local communities are our lifeblood. In addition to the employment opportunities we provide in each of our neighborhoods, we also provide contributions to charitable organizations that serve our families, friends, and customers. Plus tax, title, license and $180 dealer documentary service fee. Price contains all applicable dealer offers and non-limited factory offers. You may qualify for additional offers; see dealer for details.